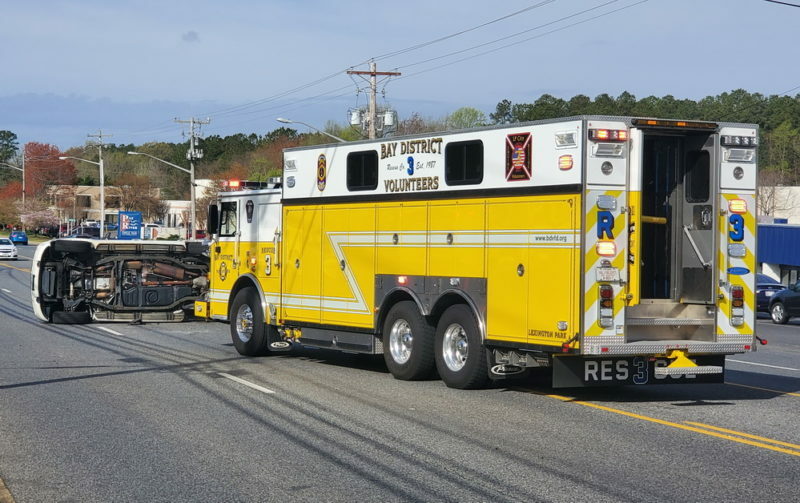 On Friday, April 12, 2019, at approximately 9:00 a.m., firefighters, emergency personnel and police were dispatched to a motor vehicle accident on Great Mills Road in Lexington Park. 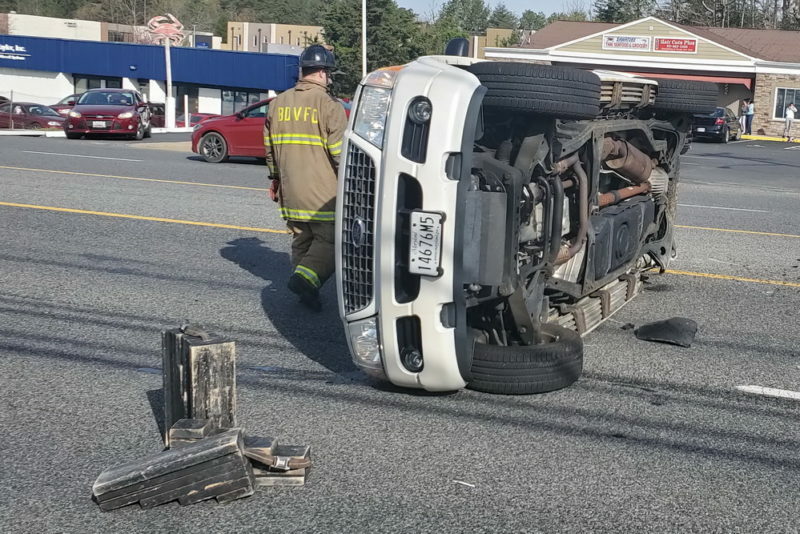 Units arrived on scene to find a Ford SUV on its side and a Dodge pickup truck in a parking lot. 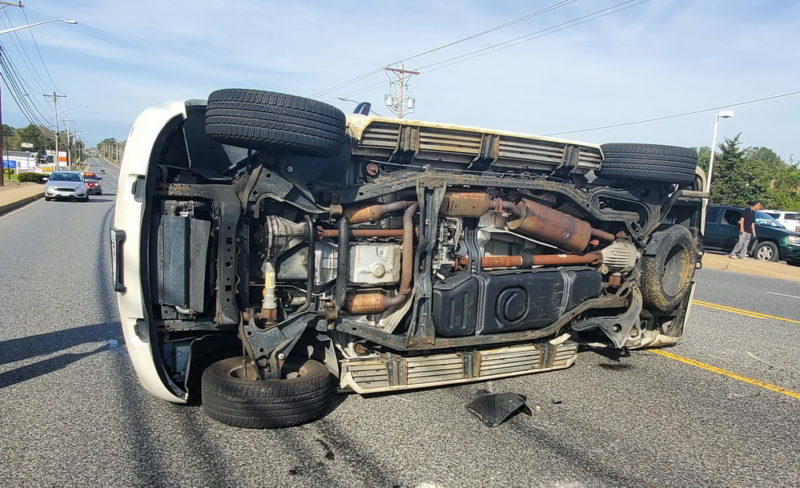 At this time the cause of the accident is unknown, the St. Mary’s County Sheriff’s is investigating. The driver of the SUV was taken to an area hospital for their injuries. 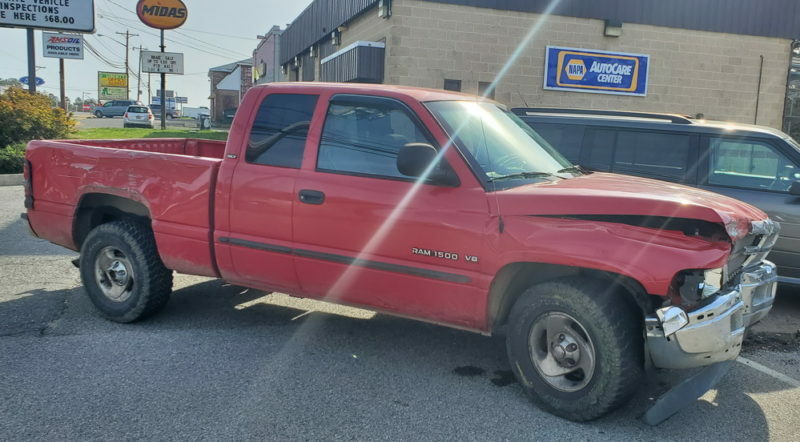 This entry was posted on April 12, 2019 at 11:15 am and is filed under All News, County, Fire & Rescue, Law Enforcement, More News, St. Mary's News, z 600X120 Top Ad Bottom, z 600X120 Top Ad Top. You can follow any responses to this entry through the RSS 2.0 feed. Hoping and praying everyone is ok. However, Great Mills Road is a race track for many individuals. 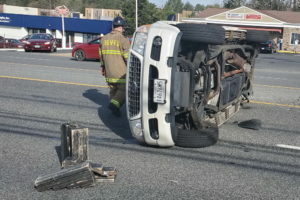 Police need to do more do reduce speeding up and down Great Mills Rd. Pretty sure speeding had little to nothing to do with this, and far more to do with someone on a phone not paying attention.I would rather the police spend time ticketing distracted cell phone users than wasting time with a radar gun. I say, can I get an Amen?!! You do know speed is rarely the cause of an accident? It’s usually someone that’s distracted and not paying attention. The speed limit is already way too low right there as is. 2bless, you’re ignorant. You can’t just pull out in front of someone…. Stay OFF THE PHONE AND PAY ATTENTION TO WHAT YOU ARE DOING …. How dare you expect drivers be responsible! Glad you are here to bolster your point with facts…..oh wait, you think calling people idiots makes your case. Good work, Sherlock, case closed. In reality, those things could be factors, but we don’t know that. 9am does make alcohol less likely, and the average speed isnt all that high through there. 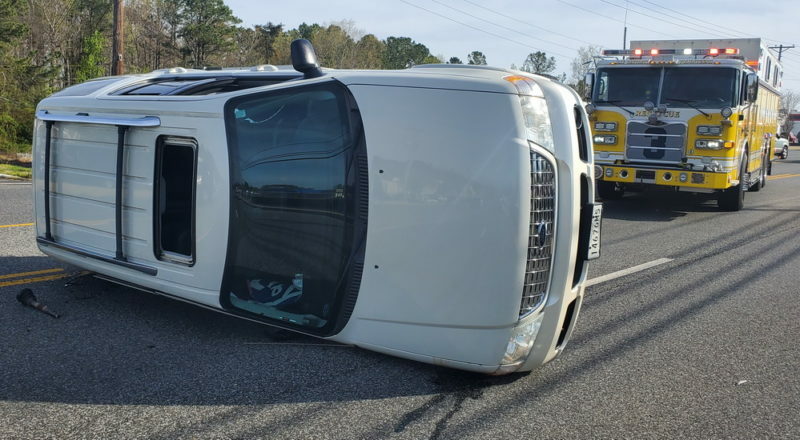 Far more likely is that someone failed to look pulling out and the oncoming driver didnt think that person would pull out. I don’t know you,but I hope everyone is ok.